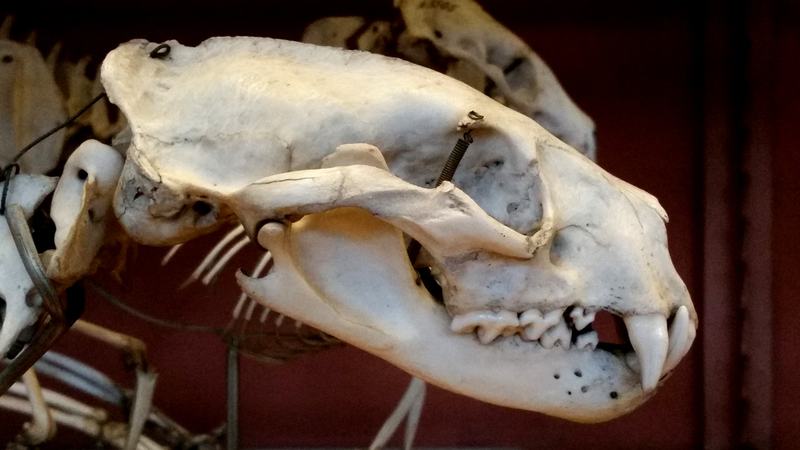 I was struck by the cat-like dentition and general shape, but as many of you worked out, that’s no cat. It is in fact a specimen of a Fossa Cryptoprocta ferox Bennett, 1833, as correctly identified by Charne, Manabu Sakamoto, Nigel Monaghan, SMerjeevski – good skills! This carnivore is endemic to Madagascar and is the foremost natural predator of lemurs. They are well adapted to climbing in order to catch their tree-dwelling main course, with rotating ankles a bit like a Margay. Madagascar is an amazing place for biology. It separated from Africa around 20 million years ago and has had its own unique wildlife evolving there ever since. This means that the familiar cats that fill niches in (relatively) nearby Africa are missing, since they didn’t really exist when Madagascar started drifting off. The Fossa fills that catty niche. 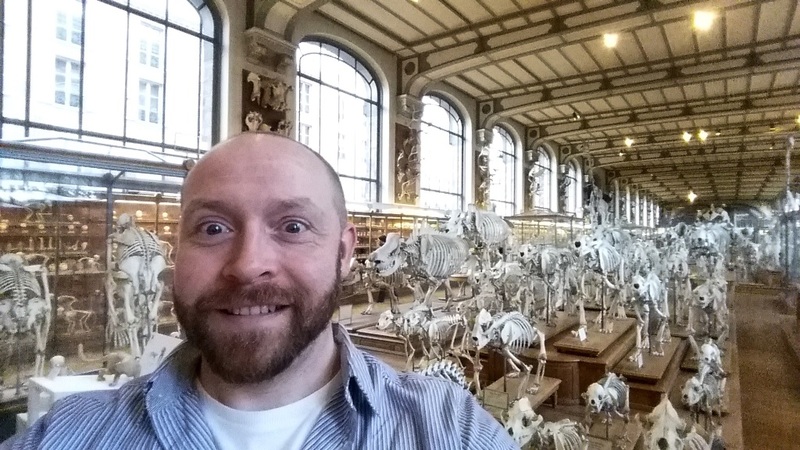 There may be more mystery objects to come from the Galerie d’anatomie comparée et de Paléontologie, since the whole place blew me away! Reblogged this on Doses of Science. Oh my goodness that museum looks amazing. Added to the list for my next France jaunt. Amazing museum! I’ve never seen a Fossa’s skeleton before, but we have one at the Aquarium and Zoo where I work. Madagascar’s isolation really produces some interesting organisms.